Redfish (also known as red drum) are one of the area’s several most popular game fish. 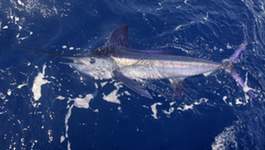 They can be caught near the shore, inshore and near shore using live bait or a variety of lures and relatively lightweight tackle. If you are interested in trying to catch redfish in Myrtle Beach, our guide shows you an overview of where and how to hook them. As with any game fish, it helps to understand the diet and habits of redfish. Adults and juveniles feed on or near the bottom. Inshore, juveniles tend to forage near the edge of marsh grasses. Juveniles tend to eat small crabs, minnows, and juvenile spot. Adults mainly feed on small fish, like adult spot, and crabs. Adults tend to congregate on sandy bottoms near beaches, in tidal creeks, and in oyster beds. Juveniles tend to congregate in estuaries, at the edges of marshes, and in shallow tidal creeks. These aren’t big fish, so serious deep-sea fishing gear is unnecessary and might even make fishing harder. A spinning rod and reel filled with 20-pound test line is good enough. You will also want medium-sized hooks, if using live bait, and an 18-inch wire leader. In live bait, menhaden, mud minnows, pinfish, and anchovies make good live bait. Lures that simulate the look or motion of those common bait fish are also good choices. A 1/4 ounce spoon or a specialty redfish lure like the Rapala Skitter Walk, are good options. Several locations and techniques are worth trying out. Sport Fishing Magazine recommends going to a jetty and looking for a drop-off in depth, if you are on a boat with a depth finder. Otherwise trying casting along the jetty. The tops of sandbars also seem to attract redfish. If you can cast to one from the shore or from a boat, the other rules about baits or lures apply. You can also wade in grass flats or drift across them in a shallow boat and wait until you see a redfish in the water. In the grass, go for a soft-body lure rigged to make it snag resistant. Casting around potholes in the seabed or around the edges of marsh grass can work too. 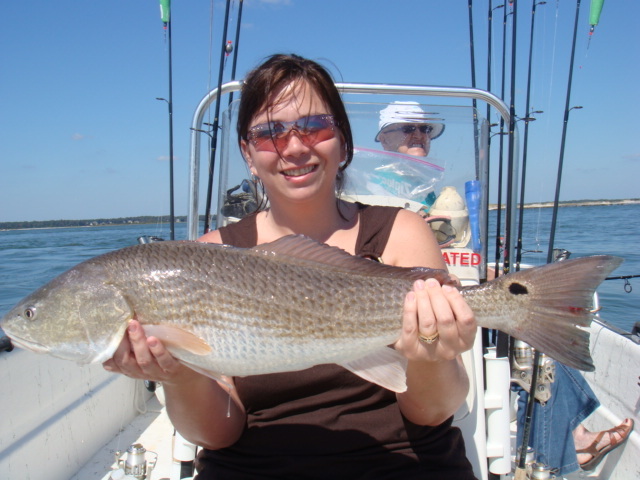 The tides are the most important consideration when going for redfish in Myrtle Beach. We recommend studying local tide tables and planning your fishing accordingly. Otherwise, the fishing is better in spring and summer. Mornings might be better for catching young redfish. As with many fish species, a number of federal and state rules govern the taking of redfish. Anyone who wants to go saltwater fishing in South Carolina must have a saltwater license. No redfish may be caught in federally protected waters. There is a limit of 3 fish per person per day. Finally, state law puts size limits on redfish, as they do with other game fish. Redfish must have a minimum total length of 15 inches and a maximum length of 23 inches to keep. This is commonly referred to as a ‘slot Redfish’ by locals. The larger Redfish over 39″ are referred to as ‘bull Redfish’.